Did you know you can can butter? Yes, you CAN! 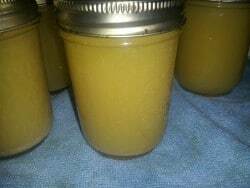 This recipe is making homemade Ghee, which is shelf stable, but has all the delicious flavor of butter. Why can butter when it freezes so beautifully? Well, there are about a bajillion reasons, but I’ll share with you some of the ones that are most important to me. You get the idea, right? I spent countless hours watching youtube videos, and researching methods. I found that there are as many different ways to can butter as there are people doing it. 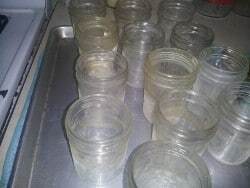 I didn’t agree with all the methods, such as letting the jars self can, or even water bath. Is it safe to can butter? Butter is a dairy product, and very low acid. All low acid foods should be pressure canned for safety against things like botulism. You will have to decide for yourself what is best for your family, however. When you heat the butter and remove the water from it, you are essentially making “ghee”. Ghee is a clarified butter that is perfectly shelf stable. That is what I am canning here. Want to start with your own homemade butter? Check out the recipe here. Unwrap your butter sticks, but leave on the papers until you are ready. Sanitize jars in boiling water for a minimum of 20 minutes to start. This ensures that any food leftover, or foreign objects are boiled off. Turn your oven on to 250 to heat. 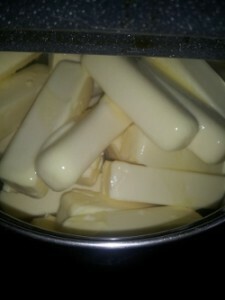 Place butter sticks in a large pot. Melt butter on low heat. Take your jars out of the boiling water, and line on a cookie sheet. Your butter will begin to foam as it’s boiling. You will skim the white foam off the top and save in a bowl. You can use this as regular butter, on toast, or over popcorn. It’ll harden again as it cools, and can be spread quite easily. The finished product in your pot will be your homemade ghee. 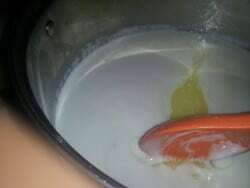 Once your ghee has been all skimmed of the white foam, continue to boil for 5 minutes. Set the timer, as it’s longer than you think while you are standing there, stirring. You will want to continually stir the boiling butter so it doesn’t burn. Fill your jars with the hot butter, leaving about an inch of headspace. This is the first “ring” on the jar’s head. 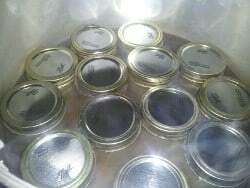 Wipe the jar rim to remove residue, and place the hot lids on. Bring up to 10 lbs. pressure, and can for 60 minutes. Once done, let canner cool on it’s own. DO NOT OPEN BEFORE COOL!!! 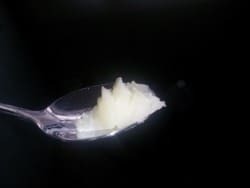 Your jars will still be full of boiling butter, and you will need to “shake” the butter every 15 minutes as it’s cooling to mix the liquid back with any solids. 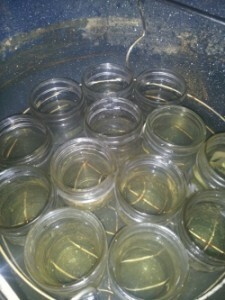 When completely cool, wipe the jars off to remove any excess oil, and store in a cool, dry place. This will last for about 5 years. 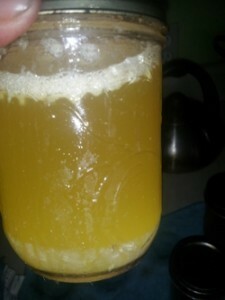 It will be shelf stable, but if you are concerned, you can store your ghee in the refrigerator. 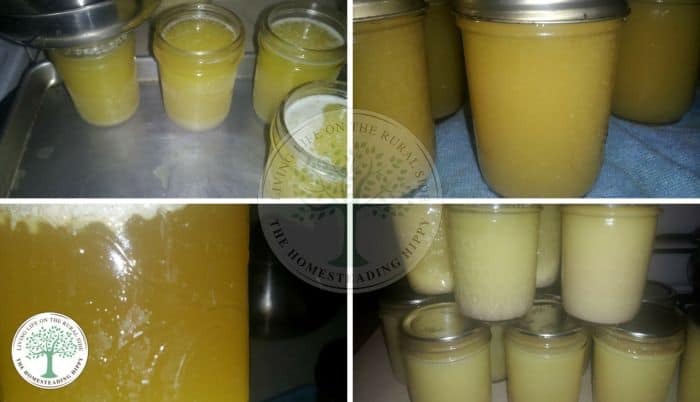 Have you ever made home ghee or canned butter before? Will you try this recipe? Be sure to pin this for later, too! This is very cool! But I wonder if you could do it with Homemade Butter? I make my own butter because I know what is going in it. What do you think? I know a woman who makes her own butter, from her own cow’s milk. When she runs out of freezer room, she cans it very successfully. I believe her method is the same as posted here. This is the BEST tutorial I’ve seen on canning butter. Thank you. FINALLY! Instructions that include pressure canning. All the other methods I’ve seen make me so nervous. Thank you. That is fascinating. 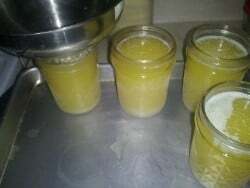 I’m a canning newbie and I had no idea you could can butter. Thanks for sharing! I’m so glad you stopped by!! There will be more canning instructions, so keep checking! I wiggle them side to side, verses up and down. does that make sense? I would have never thought to can butter! Very interesting! Had to “pin” this one too Heather. Thanks so much for sharing. 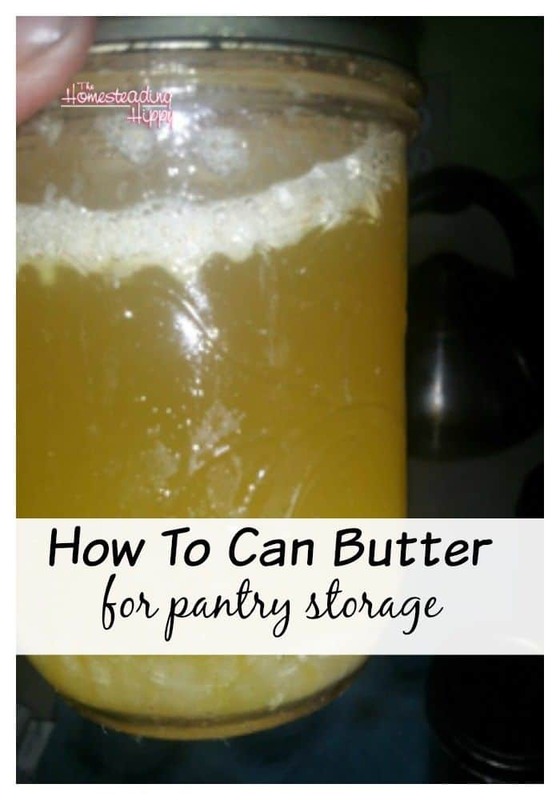 It’s the best “butter canning” recipe out there! Thanks for all the great canning info. I am new to canning and am learning a ton from your posts! I have bought butter by the case and froze it. However,after one good power outage and I am now learning to can. Could you give an update on how your canned butter is behaving? Did you can enough that you’re still opening jars from your first canning? Has the butter gone rancid or changed flavor? 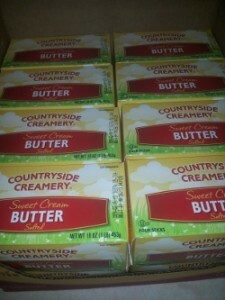 I’m trying to decide if I want to can butter for myself. We have gone through several batches, usually using them up within 6-8 months. (that seems to be the sale cycle around here) Our butter doesn’t seem to change flavor, and I don’t feel it’s ever gone rancid. If you try it, I would suggest highly that you use it up as quick as possible to begin with to test for yourself texture and flavor. Why do I have to skim off the white top of the boiling butter? Is this water cooking out of the butter that would make the butter rancid? yes, you want to take the milk/water off the top to help keep it longer. Excellent instructions…I’m definitely going to run a test batch…thanks! let me know how it works for you!!! I wouldn’t personally add it until you are ready to use it. Otherwise, the flavor gets too concentrated.